Devices is another name for phones (it can be used for other things as well, but for the purposes of this training - it is just phones). Devices can be managed in this section, features of the phone switched on or off, the phone rebooted and so on. 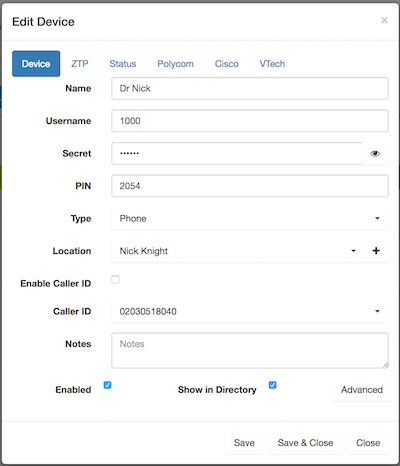 Polycom, VTech and Yealink phones can be configured simply by entering the serial number of the phone into this area.